invisible sites in everyday public space. producer Sam Greenspan featuring Graham Coreil-Allen on New Public Sites.Just beyond east Baltimore’s resounding I-95 – O’Donnell Street overpass lies a sprawling estate of weathered travel centers, including an unexpectedly beautiful grassy hill turned Elightened Elevation that serves as an unglamorous gateway for Baltimore’s Chinatown bus travelers. 99% Invisible radio show producer Sam Greenspan and I recently rode our bikes to this marginal zone and explored some of its invisbile sites and overlooked features. Created with help from the show’s host Roman Mars, “Names vs The Nothing” uses the storyline from 1984 epic fantasty film, The Neverending Story as a metaphor for the New Public Sites investigation. 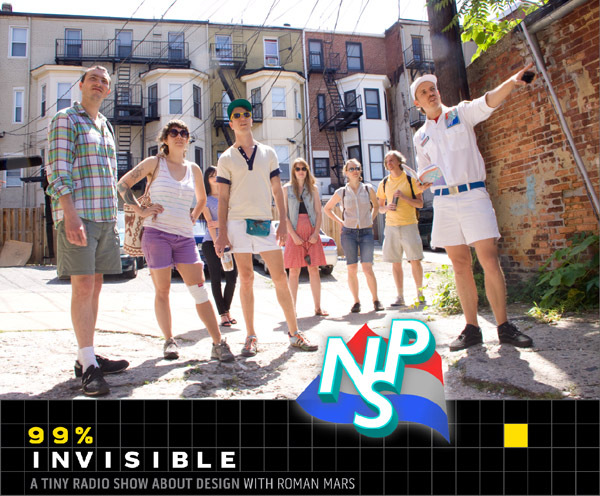 Go to 99percentinvisible.org to listen to the episode online, download the mp3 and subscribe to the podcast with iTunes.If you like 99% Invisible and want to hear more independently produced public radio, please considering donating the the 99% Invisible Kickstarter. The campaign only has three days left to reach its goal of 5000 supporters!